Fluorinated Ethylene Propylene (FEP) high voltage wire. 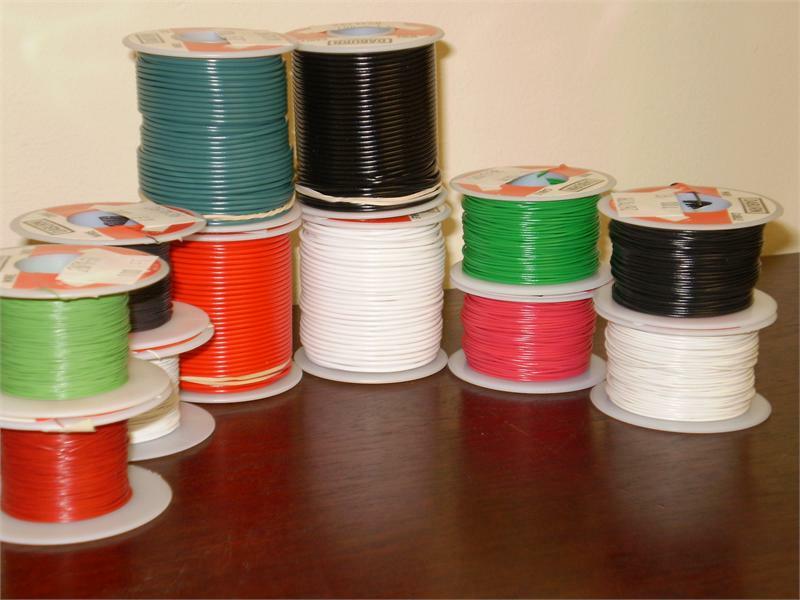 This wire achieves high voltage protection due to the excellent dielectric properties of FEP and therefore has smaller diameters than other high voltage wires. FEP also has a high stress crack resistance and retains its toughness and flexibility even at higher temperatures up to 200°C. This wire is very resistant to chemicals including transformer oils. It has a low coefficient of friction, low flammability, negligible moisture absorption, and excellent resistance to ozone sunlight and weather. Voltage rating corresponds with UL Style 11049. Standard Put-Ups. 500 ft (online minimum), 1,000 ft. Put-ups of less than 500 ft may be available based on size and/or stock levels. Please call or e-mail for put-ups of less than 500 ft. Available in 11 standard colors. For quantities or 30,000 feet or more, please call or e-mail for further discounts and lead time.